brandflakesforbreakfast: Godiva says, go ahead, regift! Godiva says, go ahead, regift! We’ve all regifted (or at least wanted to). This year, Godiva is giving us the go ahead and encouraging our friends to do the same. “The Box that Keeps Giving” from Godiva is full of packaging surprises that may even turn a few marketer’s heads. It’s simple really – purchase a box of Godiva chocolates, relax, sip wine, taste (or eat the whole box, depending on the amount of wine) and then pass that experience along to family and friends…seriously! The box is designed with a “to keep” box and an equally-sized “to give” box. But surprise! The “to give” box does the same, not just once, but twice. 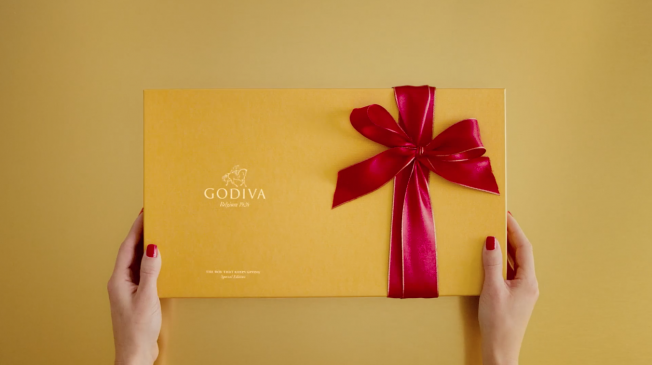 That means that in one delicious box of Godiva chocolates, there are multiple nested surprises… three “to give” and four “to keep” allowing for seven people to enjoy the experience in one simple box. Regifters rejoice. Let’s eat some chocolate.